The Easter decoration is even more special if there are children in the house. If we look for handicrafts and decorating ideas, Pinterest is a great source of inspiration. I have found two Easter ideas that I liked because they are very simple. It’s the kind of decorative arrangement that I would make, that’s why I choose it and I share it. The first Easter decoration option is a garland, which is very simple! It’s about using newspaper paper using a rabbit pattern, which you can draw yourself, or look for some mold on the web. After cutting as many figures as you want, pierce in the upper part and join them with a rope, thread or wool. Ready! 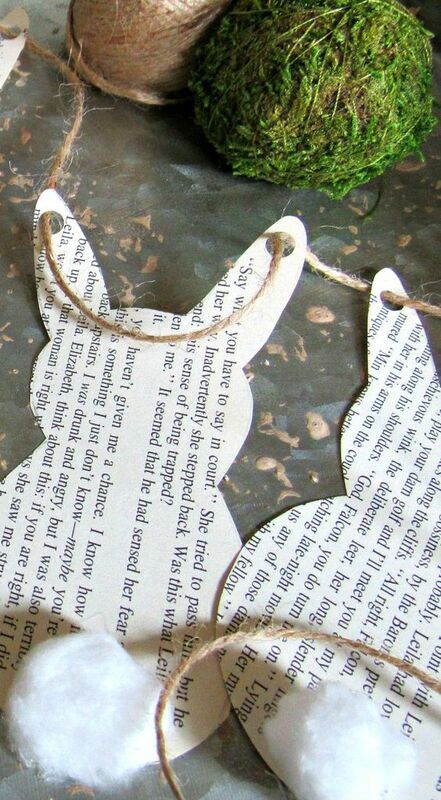 With very few materials and in a short time you will have a garland of rabbits to decorate at Easter. The second option is perfect to do with children as well. You will need eggs and some indelible markers (Sharpie for example). You just have to create geometric patterns or any other drawing on the surface of the eggs. In the photo that I share, Scandinavian style designs have been repeated. 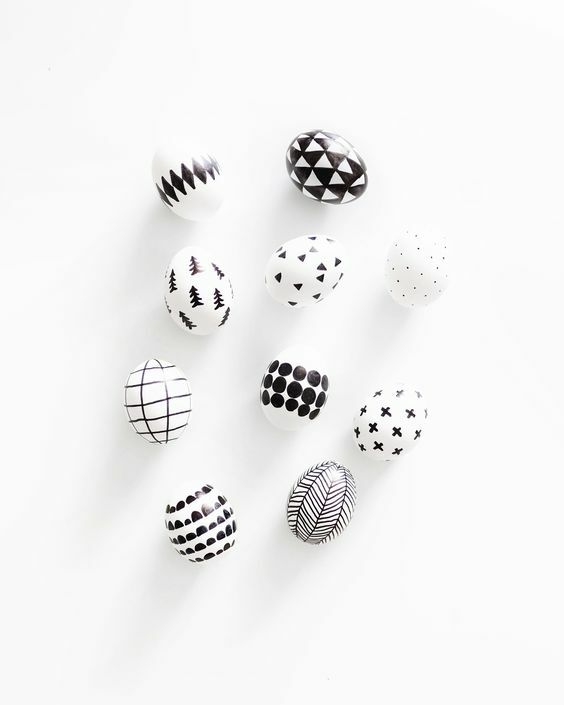 Geometric drawings with a black Sharpie on the white of the eggshell and voila!